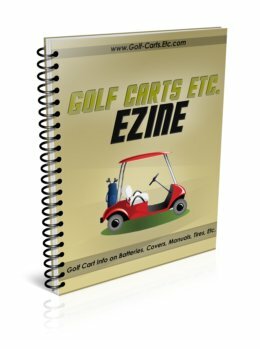 Golf Cart Battery Life - Extend it Like I Did. Find Out How. 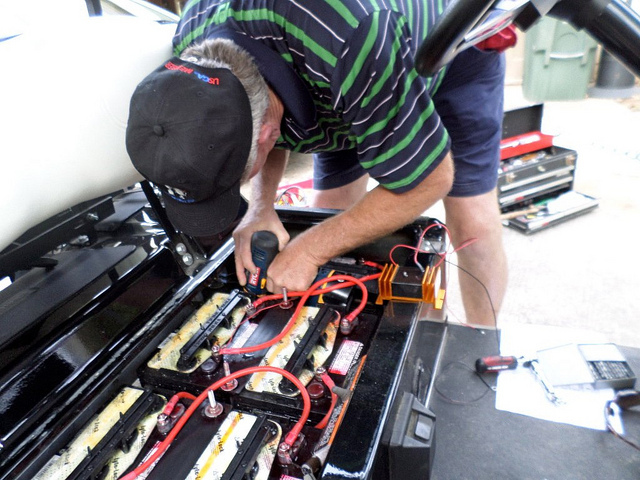 Want to find out how to extend the life of your golf cart battery? Tom from Battery Life Saver explains how lead acid batteries work and how we can get more years of use from these batteries through proper maintenance, correct charging and by installing an inexpensive device that reduces sulfation. 1. What is sulfation and how does it shorten the life of a golf cart lead acid battery? Sulfation is a build up of lead sulfate crystals that occurs on the battery plates during the discharge of a lead-acid battery. When a battery is charged, the electric current converts most of the lead sulfate crystals back to lead and sulfuric acid (electrolyte), while some is left in crystal form on the plates. Over time, the crystals that are left on the plates continue to build up and increasingly restrict the flow of electricity. This causes batteries to gradually lose power and eventually die. 2. What battery maintenance can be performed to help minimize sulfation? 1.) Charging after every use, even after short drives. 2.) Maintain proper electrolyte levels and only use distilled water. 3.) Store carts/batteries in cool/shaded areas. Hard sulfation can only be handled with a good battery desulfator like the Battery Life Saver electronic device (BLS). Simply attach it and forget it. Using patented square wave technology, the BLS is able to dissolve the hard sulfate crystals. 3. 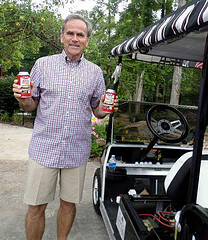 How can the BLS save a golf cart owner money? The BLS will handle the hard sulfation buildup on the battery plates. This can rejuvenate old and sometimes unusable batteries saving battery replacement costs. When used on good working batteries it will extend battery life, maintain short charge times and reduce water consumption. You can expect to double normal battery life (assuming the batteries are properly maintained) cutting your total battery expense in half! 4. How is the BLS installed and can it be installed by the golf cart owner? The BLS attaches directly to the batteries. 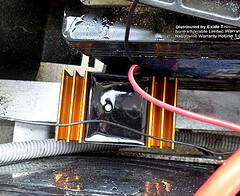 Like jumper cables, the black wire attaches to the main negative battery terminal and the red/black wire attaches to the main positive battery terminal. The instruction manual includes diagrams of the most common golf carts. 5. What is the typical cost of a BLS and is there a warranty that comes with it? The models for golf carts are around $129.95 and come with a 5 year warranty. 6. What is the typical life span of a set of lead acid batteries that have been properly maintained and by how much does the BLS extend it? There are many factors when determining battery life. The most important factors are quality of battery and climate. A properly maintained high quality battery in Texas can last 2-4 years where a low quality battery can last 1-2 years. The same quality battery in a cooler climate like Michigan can last 3-5 years. 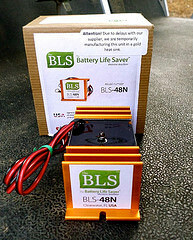 When installed on new or good working batteries, the BLS can double and sometimes triple normal battery life. 7. Tell us about some of the other benefits of the BLS such as time it takes to fully charge the batteries, the difference in distance the cart is able to go and does it affect speed and power? The BLS cannot make a battery perform better than new. When installed on new batteries it will help maintain distance, power, and short charging time. 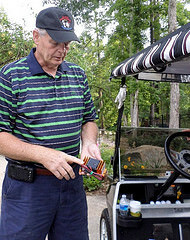 When installed on batteries that are old and have lost power, the BLS will help to rejuvenate them and revive the power and distance that the cart once had. 8. When should one get a BLS - when the batteries are new, when they start to lose their ability to hold a charge or at anytime? Ideally you will want to install the BLS on new batteries but it will benefit a battery at any age as long as the battery is not defective - i.e a short cell, open cell or has physical damage. A bad lead acid battery cannot be recovered by BLS. You will need a voltmeter and a hydrometer to test your batteries. 9. How long does it take before one notices a difference in their batteries - after the first charge, several days or several weeks? It varies, but in general you can expect to start seeing results in about two weeks with regular usage. 10. Where can one purchase a BLS? Batteries weaken as they age - not as much power, can't go as far as they did when new, or take longer to charge. Finding ways to extend the life your lead acid batteries can prevent having to replace a set of batteries and save you hundreds of dollars.